Ed Atkins is a PhD student at the University of Bristol. He specialises in water grabs, the commodification of nature and the popular movement against these processes. Follow him on Twitter: @edatkins_. 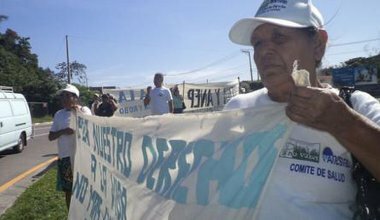 Multinational corporations are increasing their control over valuable fresh water supplies, particularly in Latin America. But the people of El Salvador are fighting back.